Harry (Apex, NC, United States) on 3 March 2019 in Cityscape & Urban and Portfolio. 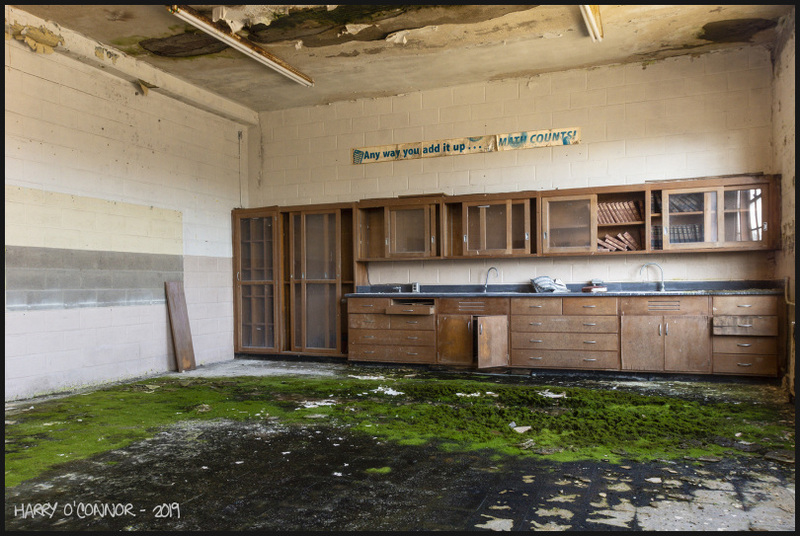 Several of the rooms that had ceiling or window breaches had advancing moss on the floors. The sign in this math room seems to emphasize the use of calculators in counting.